DESCRIPTION: Ready to release Pandorum, a sci-fi thriller, to DVD and Blu-Ray, Anchor Bay called upon the experts at Curve to reignite excitement over the film and attract new fans after the theatrical release. The film was miscast as a horror movie in theaters, unfortunately missing its intended audience. Anchor Bay looked to Curve to reach sci-fi enthusiasts and the tech-saavy demographic while repositioning the film for a second chance at success. 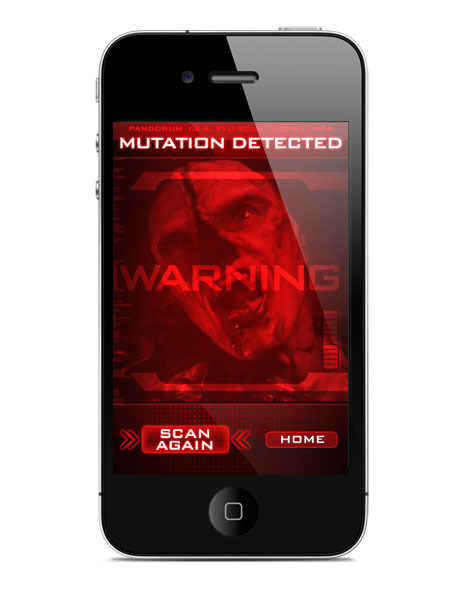 Curve went to work, creating a Pandorum-themed iPhone application that focused on the film's mutant storyline. 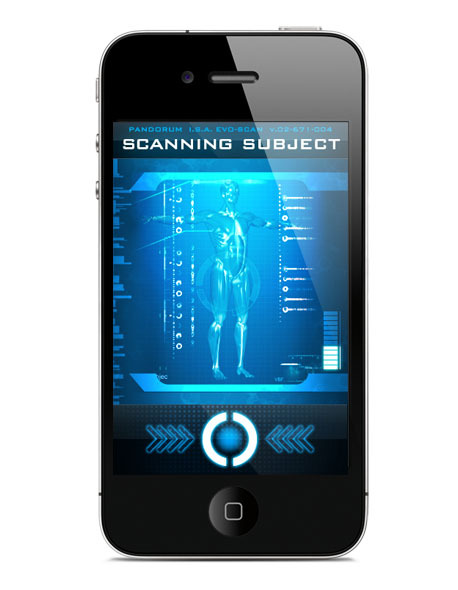 The Pandorum iPhone app allows users to scan the people around them to determine whether they are human or mutant. 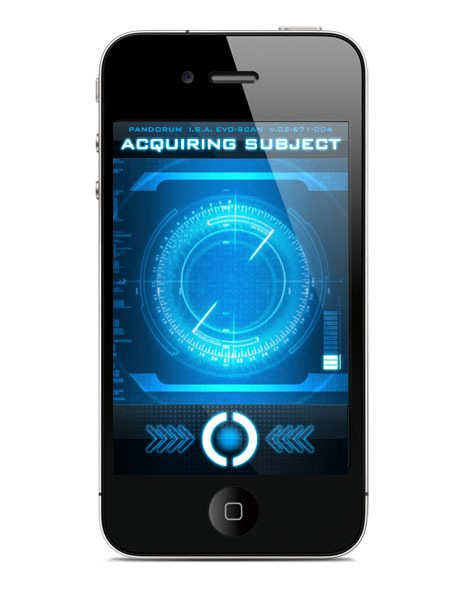 Users simply place their thumbs over the activation button and the iPhone begins scanning the crowd, complete with on-screen techno wiz-bang animation. 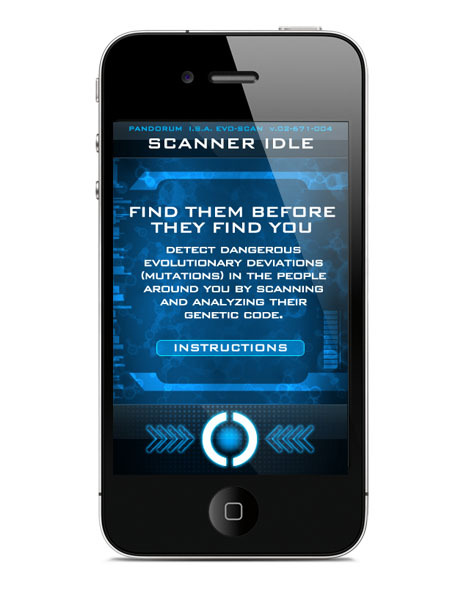 After a few seconds, the detector acquires a subject and begins an analysis, randomly determining whether he/she is human or mutant. 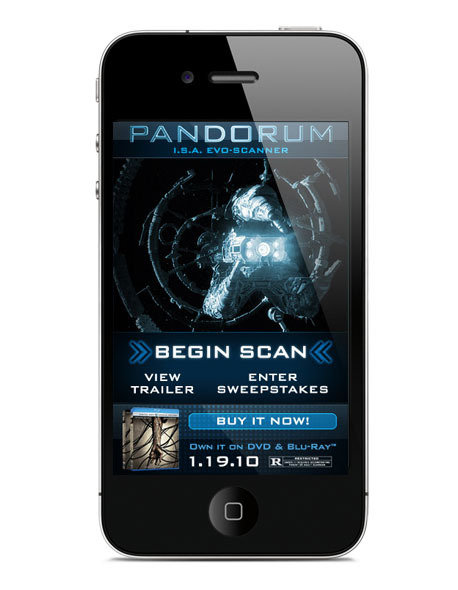 The app also contains links to the trailer, buy-it-now sites and share tools.